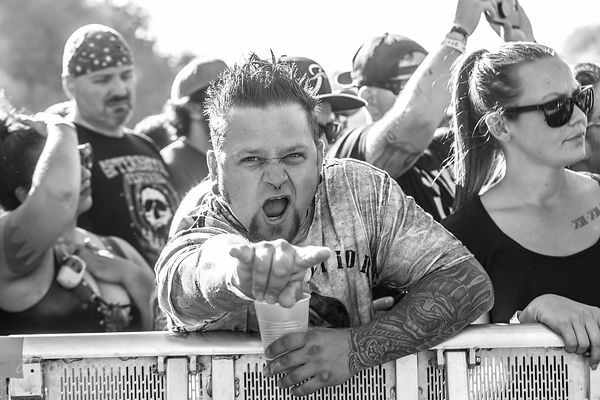 There is a link to all the People of Aftershock photos at the end of this post. 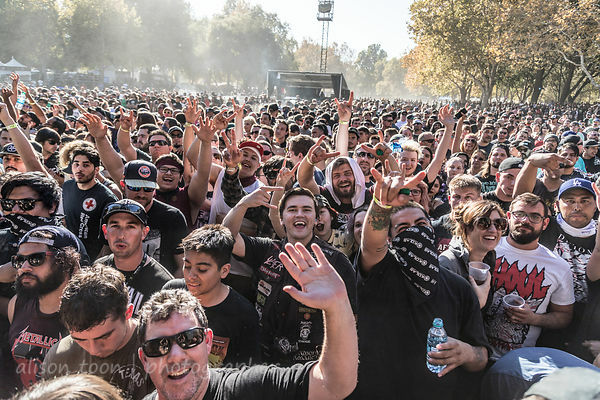 - To the festival organizers, Danny Wimmer Presents, the PR team, the street team, to Sacramento's Discovery Park, and to everyone involved in creating, organizing, managing and delivering the Aftershock festival in Sacramento, California. 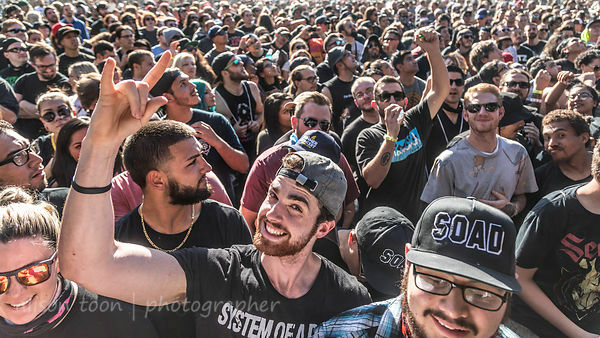 It was bigger than ever--and it sold out! That's huge! - To all of the performers... from those who opened the show each day as the crowds began to arrive, right through to the headliners with their rib-cracking, boisterous, moving-like-the-sea gigantic, thousands-and-thousands audiences. 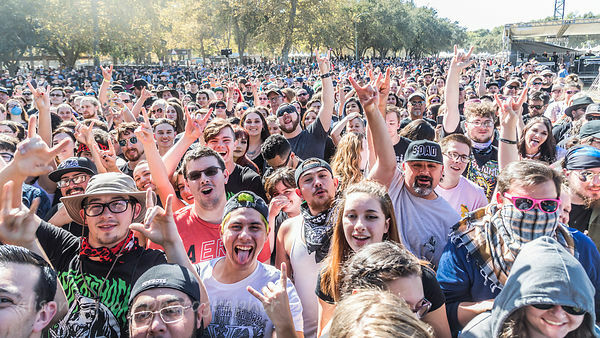 With a special call-out to those who performed in full, roasting-and-blinding sunlight throughout the afternoon, because despite the calendar saying October, it's still mighty hot in Sacramento in the heat of the day, and the hottest is late afternoon. 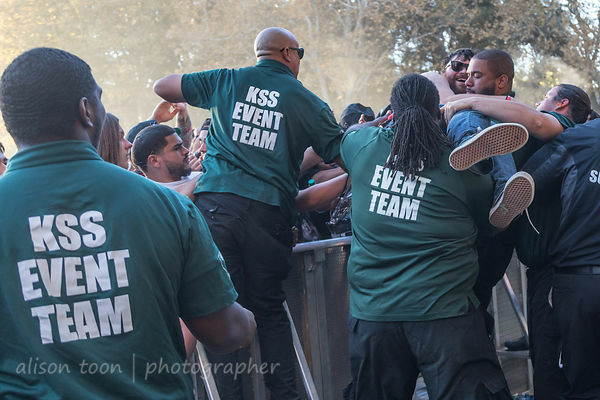 - To all the security staff who worked hard to keep us all safe and well-behaved, and who caught the crowdsurfers even though there were huge signs forbidding crowdsurfing (but maybe only if you have a specific hairdo). Signs which seemed to have been a deterrent early on, both days, but then heck, it's a festival, you crowdsurf, right, even on crutches or in your wheelchair! 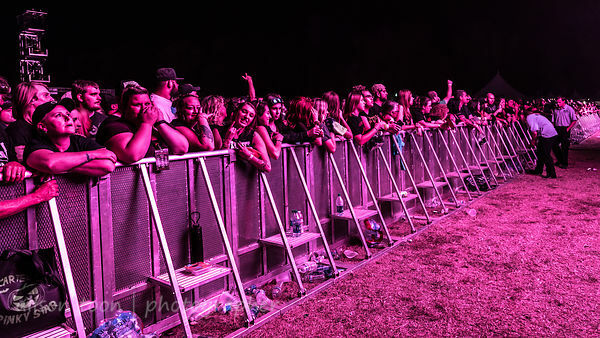 To all the folks from KSS and NES West and other teams who rescued those who wanted out from the crowd, and who handed out water to those dying of thirst waiting all day, up front at the barrier, for their favourite bands. - To the cops who danced (I saw you, I did!) 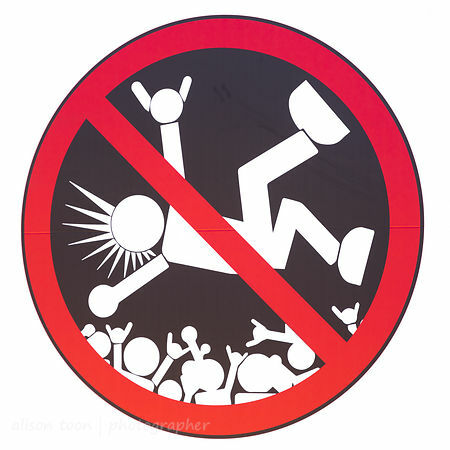 and who held up their phone-lights when Godsmack requested (you can't deny it) and who truly did community policing this weekend. - To everyone who was kind to the photographers as we ran around like mad things, trying to see as many of the performers as possible. We appreciate it. - To the folks from The Music Experience for showing everyone how the music business works, and for giving such a rich insight and encouragement to so many young people. And to the peeps from FXCK Cancer for all that you do. - To everyone who prepped, cooked and sold food and drink to the enormous crowd of hungry and thirsty people. There was something for everyone, even me. - To the guys and gals who operated the portapotty vacuum. We really appreciate you doing that. We don't want your job and we really, really, really give you a huge thank you. Seriously. Because clean loos make for a happy festival. - And most of all... thank you to you, the people, the crazy, fun, adventurous, friendly, music-loving, loud, crowd of people without whom no festival would exist. You keep the music alive! Rock on! All the performance photos and reviews coming soon--watch this space, follow us on Facebook, Twitter and Instagram!